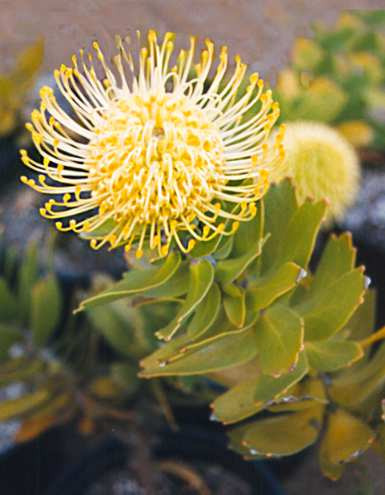 Handsome long flowering shrub 3'x5'with grey-green leaves and bright yellow pincushion flowers from South Africa. Grows best in full sun. Tolerant of light frost and extended dry periods once established. Prefers well-drained acidic or neutral soils. 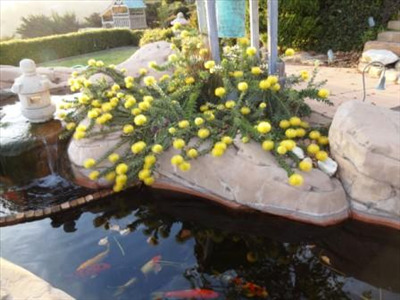 Excellent container plant, cut flower or landscape groundcover.